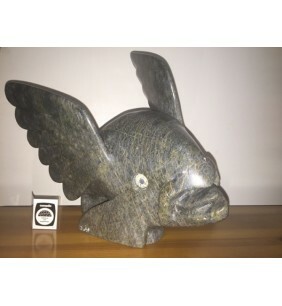 Bear drum dancer # 52654 by Moe Petooloosie 5.5``L X 9``H ..
Bird #59040 by Toonoo Sharky 10.5"H x16.5"L x 9.5"W ..
Bird #59042 by Toonoo Sharky 13.5"H x 13"w x14"L ..
Cariboo Head #59044 by Axangayu Shaa Without horns 12.5"H x 12"L x 7.5"W ..
Caribou #47956, by Papitagok Petaulassie, 2010, of Cape Dorset. 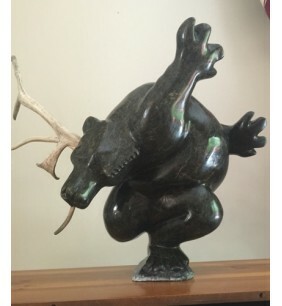 L 10" x 8.5" H .. 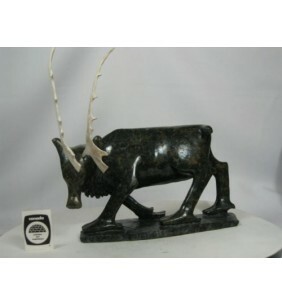 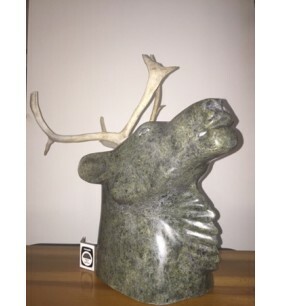 Dancing Cariboo #59043 by Axangayu Shaa No horns 18"H x 17"W x 15.5" L ..
Faces #48491 by Toona Iqulik, 2001, of Baker Lake. 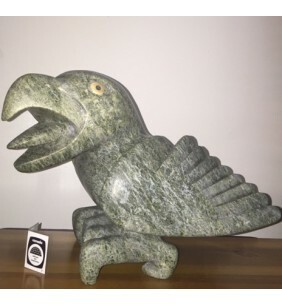 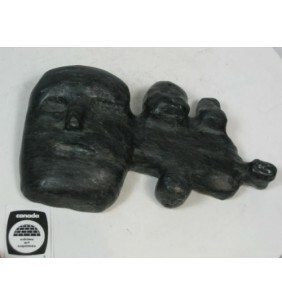 8" x 5" x 2" ..
Inukshuk 47977 by Ooloopie Killiktee of Kimmirut; 7,00'H x 2,75'L ..